Looking to give Dry January a kick in the teeth of epic proportions? You could do worse than Coya at noon on a Saturday. Already one of Mayfair's blingiest restaurants — up against some stiff competition — the Peruvian nightspot is making a bid for the title of booziest, too. Its newly launched weekend brunch is next level in all directions. Consider the facts: it's a solid three and a half hours of booze, food and entertainment, making the standard 90-minute sitting for bottomless brunches look plain dilettantish in comparison. And that bottomlessness doesn't just apply to prosecco, but free-flowing cocktails, spirits, wine, beer, champagne. It adds up to by far the highest ABV of any bottomless brunch we've been to: a level of booziness to make you thoroughly grateful for the fact it's not just all-you-can-drink, but all-you-can-eat (canapes, starters and desserts are all unlimited, and mains chosen from a short, Peruvian-influenced menu). Less than halfway through the Saturday brunch sitting, there's already dancing in the aisles. Waiters weave in between the dancers, topping up glasses with intense devotion to duty. The DJ's beats are punctuated by a saxophonist working the dancefloor, the sax studded with LEDs, gathering crowds around him like a neon Pied Piper. A birthday group's getting rowdier by the minute. While it's hard to call a £75 brunch a bargain in good conscience, if you're looking for a thoroughly hedonistic Saturday — and prepared to take full advantage of the bottomlessness — then Coya's serving up a lot of fun, boozy value for your buck. Bottomless brunch at Coya is on Saturday from 12.30pm-4pm. 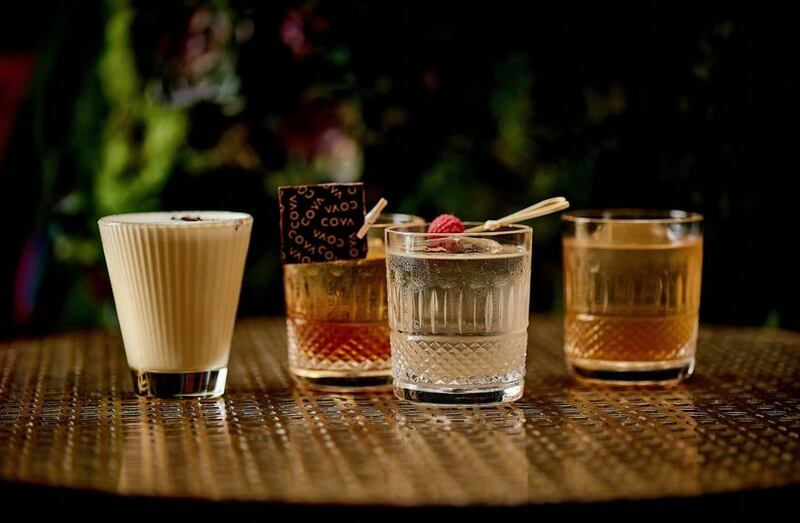 The spirits package costs £75 and includes four courses, all-you-can-eat starters and desserts, and unlimited cocktails, house spirits, wine and beer. Coya, 118 Piccadilly, W1J 7NW.